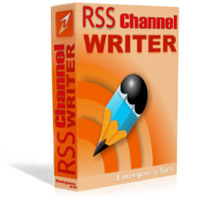 Emergency Soft has just released a new version of RSS Channel Writer. This comprehensive, yet easy-to-use software promises to be the most professional in the field of RSS feed creation. It took a bit longer time from us to understand what kind of additional features for RSS feed maker tool PC users need and what should be included in this version. Now, let us introduce RSS Channel Writer - version family 2! 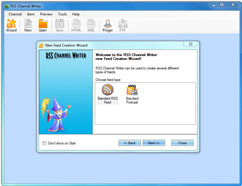 RSS Channel Writer is a powerful, as well as user-friendly RSS feed creator, editor and submitter. RSS feed for your web site can be created and pinged to more than 105 RSS servers fast and easily attracting more visitors to your website. There is no need for XML syntax knowledge - all you need to know is how to use this user-friendly program and you will create RSS with no problem.